Do You Really Want to Quit Your Job/Internship?  - Center for Career Services & Continuing Education | John Cabot University’s Center for Career Services & Continuing Education is your bridge between your academic and professional careers. Whether you want to pursue further study in graduate school or hope to begin a career, we can help you achieve those goals. Do You Really Want to Quit Your Job/Internship? As we stated several times, the path towards your professional growth will not be straight and you may find yourself dealing with several obstacles, especially at the beginning. Even when you think you found the perfect job, you might go through one of those days and feel either overwhelmed or not challenged enough. 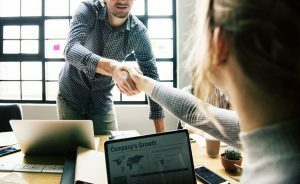 Create good relationships with your colleagues: since you will spend most of your time at work, it is very important to create a positive work environment. If you find yourself struggling at the beginning of your internship/job, ask for some piece of advice to your supervisor or to a colleague that is more experienced than you are. When you start a new work experience, you have to measure your expectations and be realistic. Sometimes, you may be surprised by a job you did not expect to be so stimulating, or, on the other hand, you may realize that what you thought as your dream job is not really for you. However, you should never rush to any conclusion and try to live your first professional experiences at their fullest. If, at the end of your internship/job, you are sure that that position is not for you, still, you will have enriched your professional skills and you will be more aware of your career goals. Sei sicuro di voler lasciare il tuo stage/lavoro? Come abbiamo già detto diverse volte, il cammino verso la vostra crescita professionale non sarà lineare e vi potreste trovare davanti a diversi ostacoli, soprattutto all’inizio. 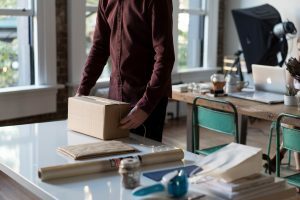 Anche quando penserete di aver trovato il lavoro perfetto potreste avere delle giornate storte e potreste sentirvi sotto pressione o non abbastanza stimolati. Costruite delle relazioni positive con i vostri colleghi: dato che passerete la maggior parte del vostro tempo a lavoro, è molto importante che si crei un ambiente positivo. Se all’inizio del vostro stage/lavoro vi trovate in difficoltà, chiedete consiglio al vostro supervisor o ad un collega con più esperienza di voi. Quando iniziate una nuova esperienza professionale, dovete misurare le vostre aspettative ed essere realisti. A volte potreste rimanere sorpresi da un lavoro che non reputavate molto stimolante oppure, al contrario, potreste rendervi conto che quello che pensavate essere il vostro lavoro dei sogni non fa per voi. Nonostante ciò, non tirate mai delle conclusioni affrettate e cercate di vivere a pieno le vostre prime esperienze professionali. Se poi alla fine del vostro stage o lavoro vi renderete conto che quella posizione non fa per voi, avrete comunque arricchito il vostro bagaglio di competenze e avrete acquisito una maggiore consapevolezza dei vostri obiettivi professionali.